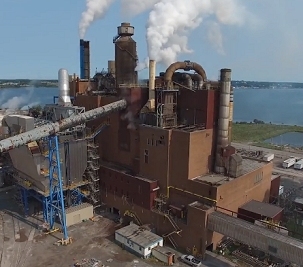 April 4, 2019 - Northern Pulp says it will collect the data that government is requesting, but that it clearly means more time is required beyond the current legislated deadline to complete construction of a new waste management facility. Baarda said a temporary closure is not realistic and would still require use of the Boat Harbour treatment facility. “If the government does not give us enough time to complete the new facility, we will have no choice but to permanently cease operations in Nova Scotia. “If we do not get an extension from the government, that will mean we shut down operations in Nova Scotia. That will put the livelihood of thousands of Nova Scotians at risk," Baarda explained. “We hope that the government recognizes the importance of balancing both rural prosperity and protection of our environment,” Baarda added. » Nova Scotia's Forest Industry Faces Unknown Future without Northern Pulp - Jan. 22, 2019.